Sacred Hearts Academy High School VEX Team 2437A won the Build Award at North Shore VEX EDR Tournament at Waialua HS. 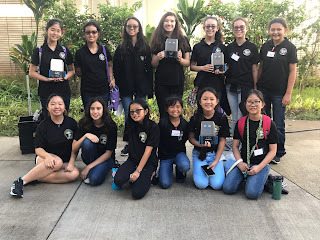 This team also won the Design Award at UH Manoa a week earlier and got a berth to the state championship on 1/22/19 at UH Manoa. Congratulations Ayla Hakikawa, Kammiee-Marie Ardo, and Nanami Mehring! 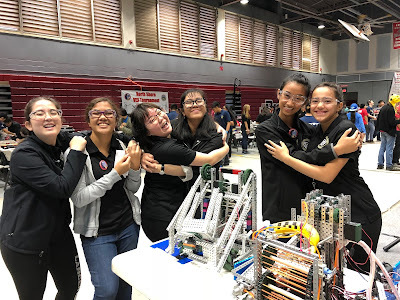 Sacred Hearts Academy Jr. High School VEX IQ Team 2437A won the Excellence Award and Robot Skills Champion Award with a berth to the state championship on 2/23/19 at Saint Louis School. Congratulations Hyatt Yoshioka, Mei Wai Lee, Vanessa Laub, and Anna Takegawa! 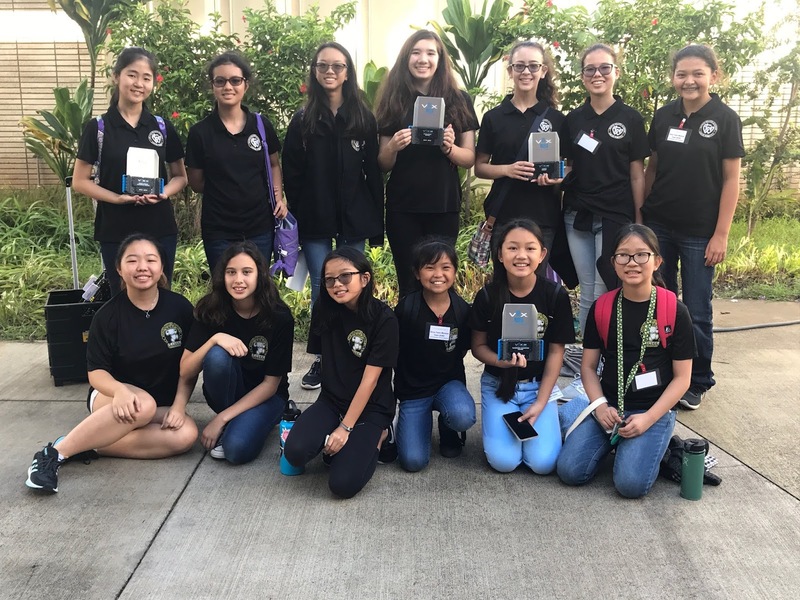 Sacred Hearts Academy Jr. High School VEX IQ Team 2437B won the Design Award and got a berth to the state championship on 2/23/19 at Saint Louis School. Congratulations Abegail Aguirre, Madison Iwashita, and Reese Machida! Sacred Hearts Academy Lower School VEX IQ Team 2436A won the Tournament Champion Award and got a berth to the state championship on 3/2/19 at SHA. Congratulations Gabrielle Castro, Lindsey Dimaya, Sadie Takaki, and Sara Inao!